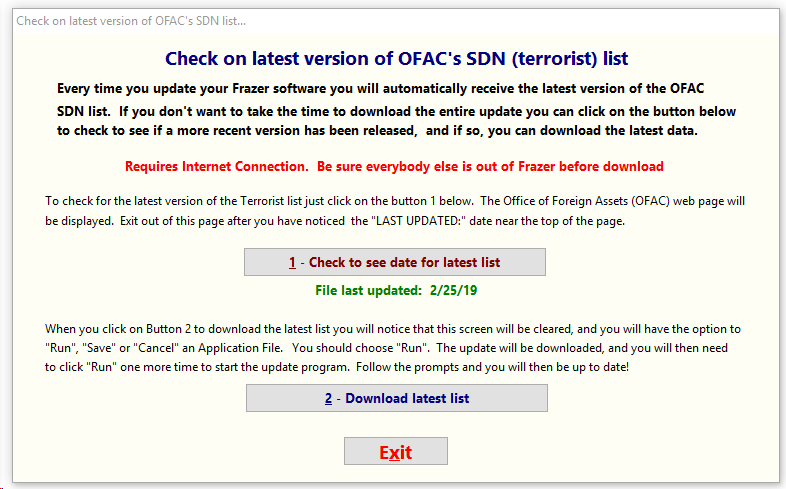 ▪Click on Sales at the top of the main window, and then select 8-OFAC's SDN from the menu. 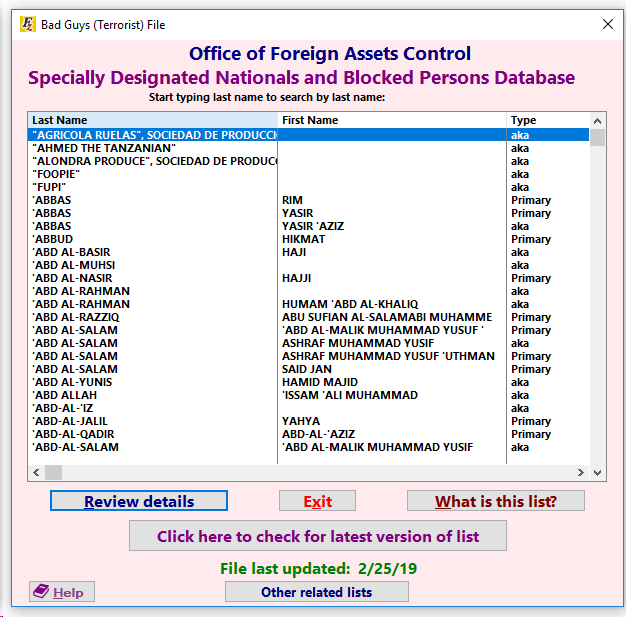 ▪This window will let you search for names on the list. At the bottom of the screen, you will see the words File last updated: and the date the list was last updated in Frazer. ▪Click on the button that says Click here to check for latest version of list if you want to see if a new update is available. •To see if a new updated list is available, click on 1 - Check to see date for latest list. If the government website indicates that there has been an update in the "Changes to the SDN List: section on the website. •If there is an indication that the list has changed you can click on the 2 - Download latest list button.